The Star, a multifamily redevelopment in downtown. HOUSTON – (By Dale King, Realty News Report) – Houston real estate projects, The Star, Heights Mercantile, HARC and Emancipation Park, earned top honors at the Urban Land Institute Houston’s 2019 Development of Distinction Awards presentation. The awards recognize developments and public open spaces that exemplify best practices in design, construction, economic viability, healthy places, marketing and management. Since 2008, nearly 80 projects and public spaces have been acknowledged as Development of Distinction finalists and winners. For-profit, large: The Star,by Rusk at San Jacinto Partners, LP, and Provident Realty Advisors. 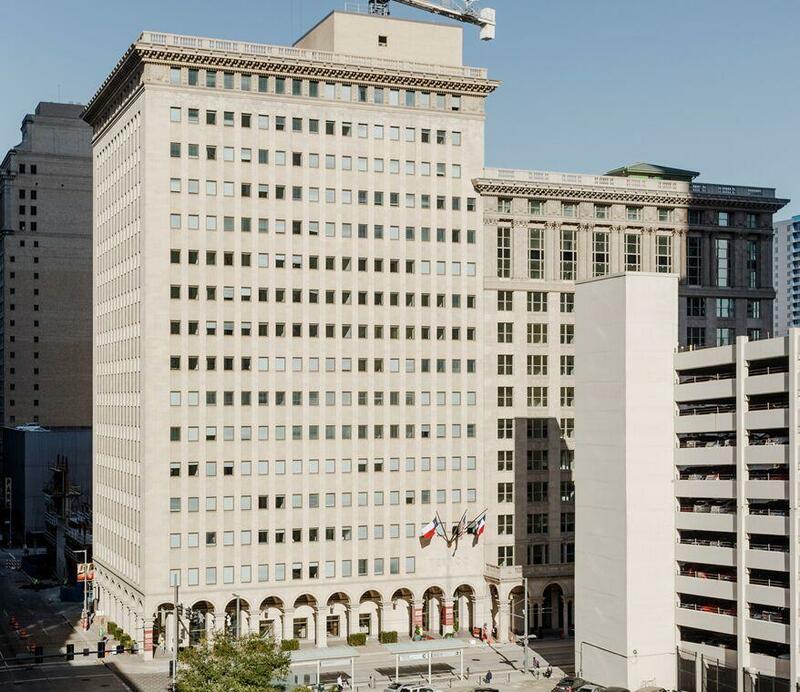 Vacant since the late 1980s, The Star, in downtown Houston, has been recreated into an amenity-filled, cosmopolitan community of luxury apartment homes. For profit, small: Heights Mercantileby Radom Capital, LLC. This sophisticated, pedestrian-driven shopping and dining destination includes first-to-market retail concepts — Warby Parker, Marine Layer, Will Leather Goods, Chubbies, Aesop, The Gypsy Wagon, Rye 51 and Postino, alongside other market offerings. The project was designed to preserve the character of the neighborhood and maintain the historic charm of existing buildings. Not-for-profit recipient: HARC (Houston Advanced Research Center). The firm set out to create a sustainable headquarters. Through innovative design, the building uses 70% less energy than a comparable structure. It is set to become the first certified commercial net-zero energy building in Texas. Open-space category: Emancipation Park. Phil Freelon, the architect who designed the Smithsonian National Museum of African American History and Culture in Washington D.C., was design director on this expansion and renovation. Emancipation Park’s history dates back to 1872 when four former slaves raised funds to purchase the area. This project pays tribute to the founders through sculpture while a new entry plaza, cultural center, recreational center, updated swimming pool, new outdoor fields and play areas, an event lawn and restoration of the historic Blessing Theatre combine to create a meaningful space for community connections. Exploration Green went on to win the People’s Choice award, garnering the most votes on ULI’s online survey. For-profit (large), 609 Main, by Hines. For-profit (small), East Village, by Eado Investments, LP, Ancorian. Not-for-profit, Moody GardensAquarium Redevelopment, by Moody Gardens. Open space, Exploration Green, by Clear Lake City Water Authority; The Woodlands Waterway, by the Howard Hughes Corporation. The Urban Land Institute (www.uli.org) is a global nonprofit education and research center. Its mission is to provide leadership in the responsible use of land and in creating and sustaining thriving communities worldwide. ULI Houston has nearly 1,000 members who come together at educational programs and other events to share experiences and learn from each other.